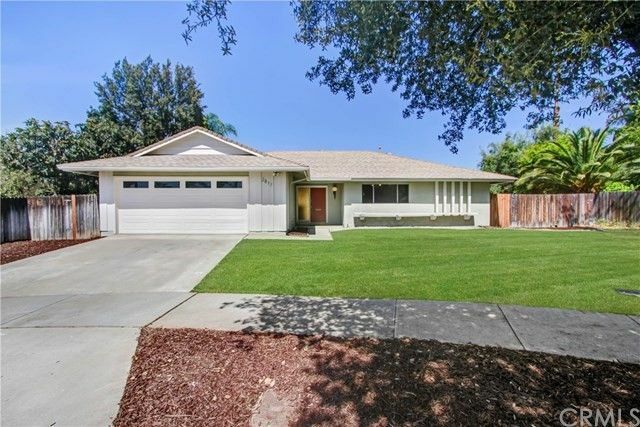 Nestled in the quiet tree lined neighborhood of Riverside, your beautifully crafted Mid-Century Modern home awaits. From the moment you enter you'll be greeted by an inviting open and spacious floor plan. The home features 3 bedrooms, 2 baths and 1604 sq ft of living space and 8276 sq ft lot at the end of the cul-de-sac. The home has been completely remodeled for modern day living while retaining it's warm and inviting character. Featuring, newer HVAC system, wide plank wood laminate flooring, freshly painted inside and out, open floor plan, modern kitchen featuring, gray kitchen cabinetry, quartz counters, large stainless steel sink, stainless steel appliances, subway tiles, recessed lighting, lighting fixtures, remodeled bathrooms, family room fireplace, landscaped yard, and so much more, you need to see it for yourself! Perfectly situated in a wonderful neighborhood, close to your everyday needs, fantastic schools, parks, markets, local eateries, and easy access to all major freeways. Truly a remarkable place to call your new home, we invite you to come and see it today and make it yours! "For Tier One Service - Call Teer One Properties"